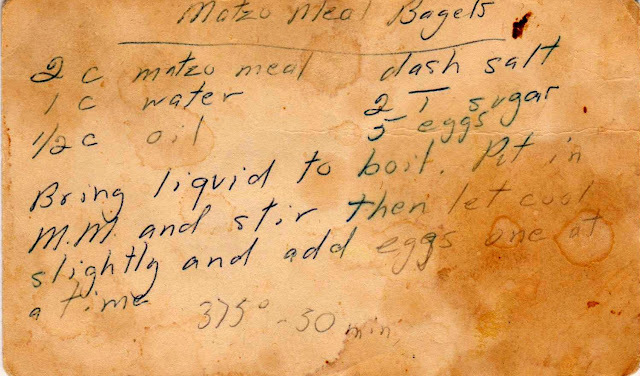 I didn't have to look far for this vintage recipe card -- it's from my mother Bee's collection. 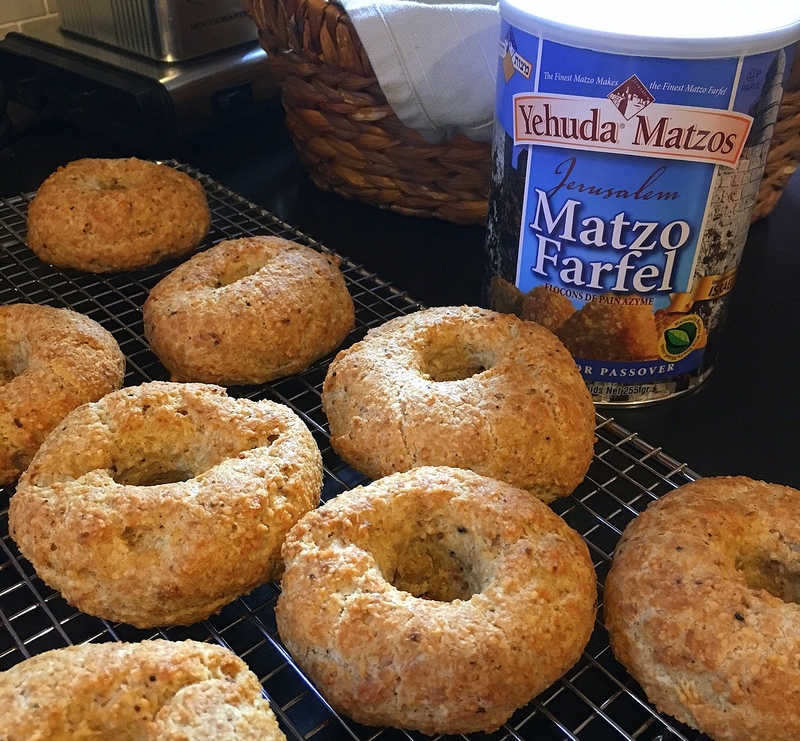 She wasn't a particularly good cook or baker, but she made dinner six nights a week without fail and always made special food for holidays, these Matzo Meal Bagels among them. 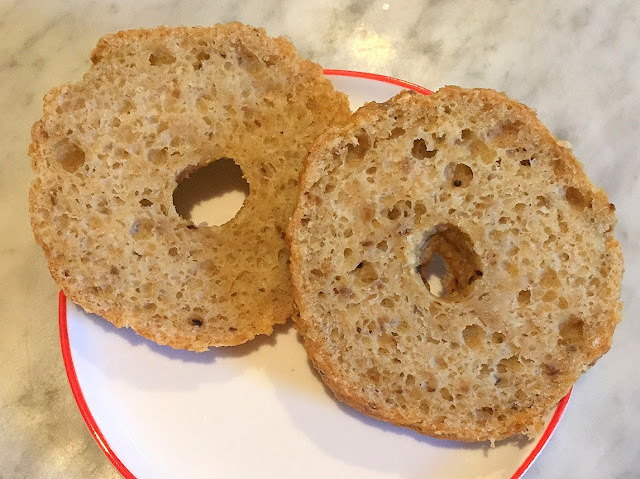 I'm not fan of food hacks that use a substitute to imitate the real thing (Tofurkey, for instance), but even during Passover, some people will insist upon bagels, I suppose. And they are handy if observant folks need to have a sandwich during the holiday. 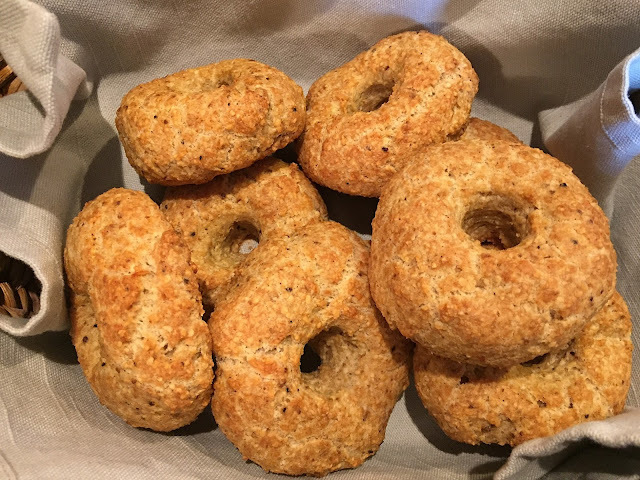 Even those these are called "bagels" they resemble them only in shape, not in texture or flavor. But, they are pretty good and take but minutes to make. The outside is crispy, while the inside is soft. My son-in-law said they taste like matzo balls, which is pretty accurate, since they have the exact same ingredients. Let's get started. 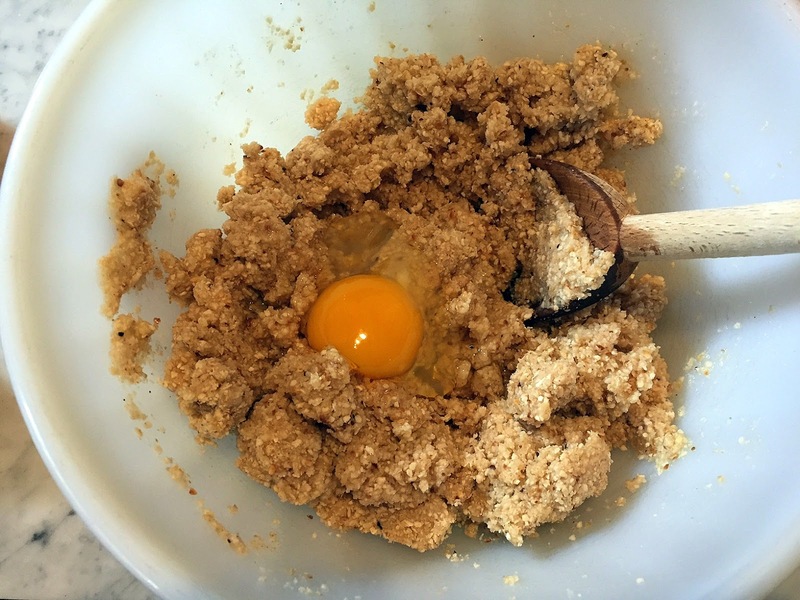 Mix the dry ingredients (matzo meal, salt and sugar) in a bowl. Add the boiling liquid all at once, mix well, and add the eggs one at a time, mixing well after each addition. Let the batter stand for about 15 minutes. Then, with greased, wet or gloved hands, form balls. Place on a greased or parchment-lined baking sheet. Flatten each ball slightly, and use your index finger to create a center hole. 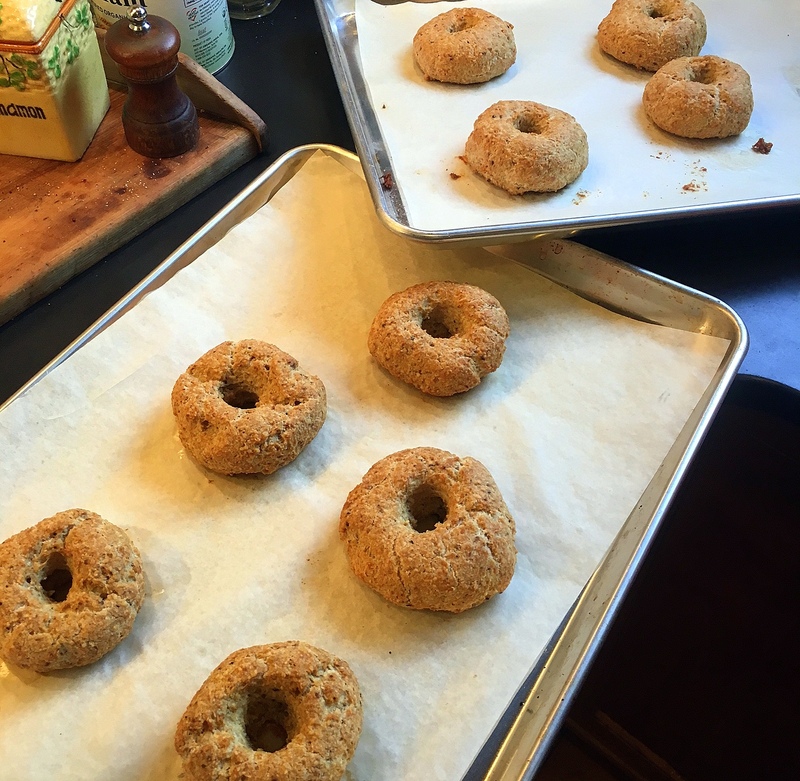 Bake for about 40 to 50 minutes, until the tops are golden brown. Below is Bee's very stained recipe card, with rather incomplete instructions. Below that, is the recipe written out. 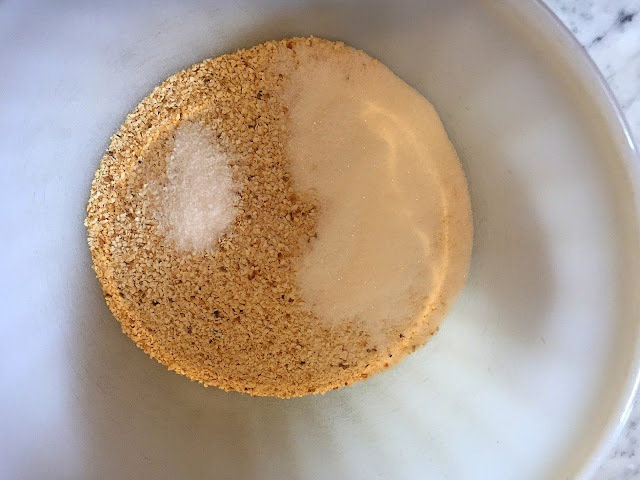 Combine the matzo meal, salt, and sugar in a bowl. 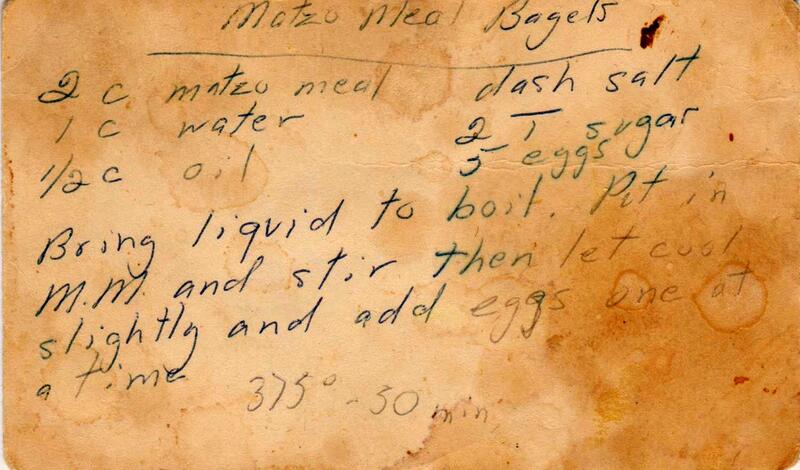 Bring the oil and water to a boil and add to the matzo meal mixture. Stir well to combine. 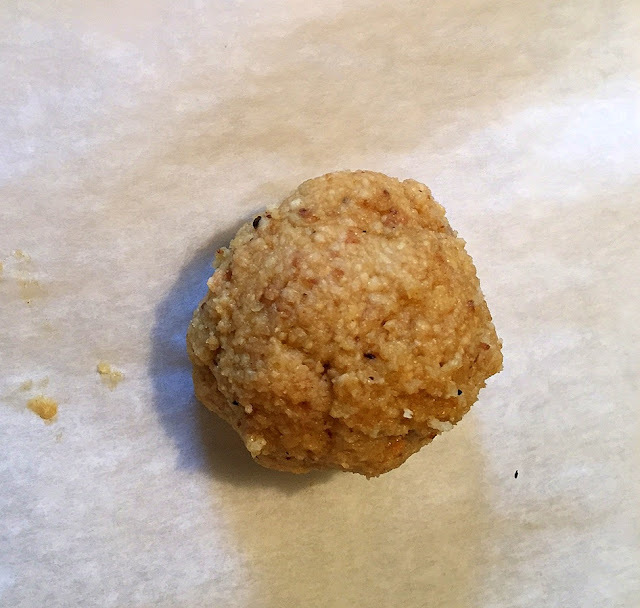 With oiled hands, shape into balls and place o­n a greased or parchment-lined cookie sheet. Pat each ball down slightly, and using a greased finger, insert it into the middle of the roll, moving it around to create a hole in the center. Hi Hanna! By popovers, do you mean these? 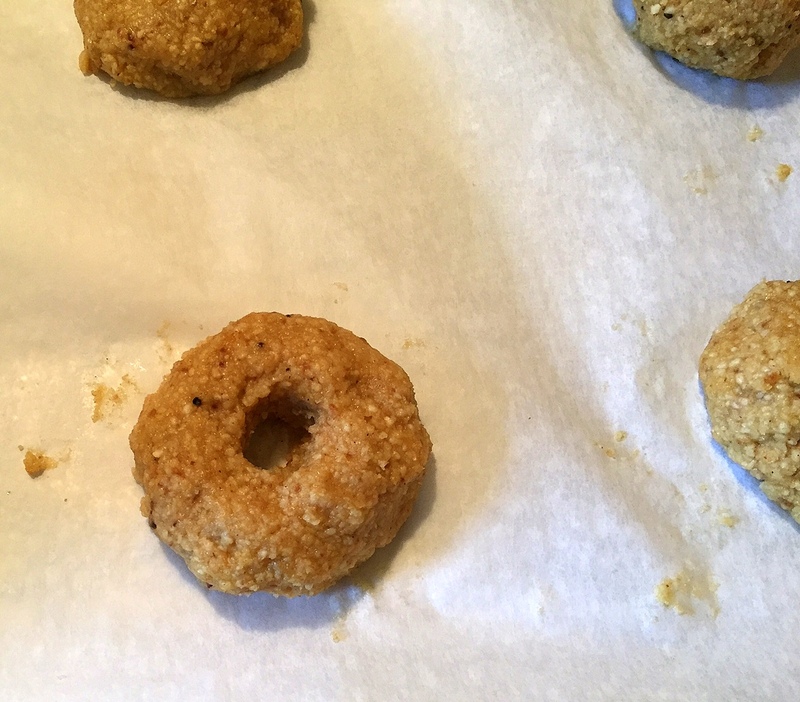 Bagels that taste exactly like matzo balls? I am totally in. I grew up in Chicago and moved to NYC about twenty years ago. I had never heard of gebrochs, the custom of NOT eating wet matzo on Passover, but most of my orthodox Jewish friends, including the ones who always include me at their seders, adhere to it. So no kugel, no sponge cake, no macaroons, no matzo balls, no matzo brei on Passover. Just foods you can peel. They eat potatoes, bananas, eggs, avocado, onion, apples. The food at their seders is very plain, which is a good thing, because after eating the requisite three enormous servings of schmura matzo and two large cups of sweet wine, I can't manage much else anyway. Gebrochs is permitted on the very last day of Passover, and I will never forget the endearing sight of my friend's youngest son, reclining in his chair and luxuriously dipping a shard of schmura matzo into a kiddush cup of Kedem grape juice. Wow, witloof, I've never heard of that! Thanks for sharing.